In places like Okinawa, Japan, and Ikaria, Greece, the average life expectancy is several years above ours, and active 90-year-olds aren’t uncommon. Researchers have noticed that these pockets of longevity tend to have several things in common: The residents eat diets rich in unprocessed foods and local plants, they often live together with their extended families, it’s easy to walk everywhere they need to go, and there’s little pollution. World longevity researcher Dan Buettner calls such areas “Blue Zones,” and while L.A. may not rank among them, it’s not for lack of trying. The typical life span of someone born in L.A. is a couple of years higher than the U.S. average, having risen from 75.8 in 1991 to 80.3 in 2006, and scientists here hope to push that figure far higher. Go beyond the clichés of age-obsessed Angelenos and plastic surgery junkies, and you’ll find people like Valter Longo, director of USC’s Longevity Institute, who refers to the city as a “mecca of antiaging research.” The institute’s goal is to increase the human “health span,” as he calls it, with projects ranging from what’s known as regenerative medicine to the development of new drugs and better diets. “We currently take a Band-Aid approach to health care,” waiting until we’re afflicted with a particular disease and having it treated, Longo says. But a comprehensive strategy to slow aging itself could forestall all disease. “Can we have healthy 100-year-olds? Eventually, yes,” he adds. Kevin Mills, a real estate investor and owner of Larrabee Sound Studios in North Hollywood, isn’t waiting. “My expectation is that if I can live the life I’m living now, I can stay healthy, happy, and energetic and reach 100,” he says. About a decade ago Mills, who’s 56, began reading books on nutrition; that led him to organizations such as the Life Extension Foundation and Web forums like those at LongeCity.org, where members discuss the latest research studies and their experimentation with diets, supplements, and medications thought to slow the aging process. Now he takes as many as 50 nutritional supplements daily (including antioxidants, anti-inflammatories, and more exotic, less well-vetted substances like C60—a carbon molecule also called “buckminsterfullerene” because it resembles a geodesic dome), along with metformin, a blood sugar-lowering drug prescribed for diabetics that has shown promise against cancer. His doctor is on his side—“although half the time I’m telling him about the research,” Mills says. He regularly gets tested for health markers like blood glucose, inflammation, and cholesterol, all of which are at healthier levels than before he started his quest, he says. What’s more, Mills follows a moderate form of calorie restriction—that is, eating fewer calories than the body needs to maintain its weight. It’s a practice that was popularized by the UCLA antiaging pioneer Roy Walford, who called it “the 120-year diet.” As a member of the Biosphere 2 experiment in the early 1990s, Walford famously discovered that when the dome dwellers couldn’t grow as much food as they needed, their health improved. Whether such a spare diet actually increases the human life span remains unclear, although certain calorically restricted lab animals have lived as much as 30 percent longer. Whereas Mills takes in roughly 2,000 calories a day—the Mayo Clinic recommends that a man of his age, size, and activity level eat about 2,350—other Angelenos go even further. Fifty-nine-year-old entrepreneur and artificial intelligence researcher Peter Voss, who’s emerged as something of a spokesperson for the practice, has been eating about 1,850 calories per day since 1997. As slim as an avid marathon runner, he credits his eating habits with a stronger immune system, lower blood pressure, and improved blood lipids. The key is to bring lower-calorie, higher-nutrition foods into your life—his favorite, strawberries, weigh in at about 140 calories per pound. Aubrey de Grey, a Cambridge University computer scientist turned antiaging theorist, launched SENS, short for Strategies for Engineered Negligible Senescence, in 2009. Fifty years old with a Rasputinesque beard, de Grey has gained fame through his appearances at TED talks and on The Colbert Report, among other venues, making the case that aging can be vanquished. He’s proposed that seven specific types of damage cause human beings to deteriorate over time, including cellular mutations, an accumulation of “junk” inside and between cells, and a gradual loss of important cells in the brain and other organs. If it were possible to fix all or even some of these problems, he argues, the diseases and frailty that come with old age could be postponed or even reversed. And he believes it’s possible that aging itself will be brought under medical control—via maintenance treatments of gene therapies, stem cell therapies, and immune stimulants—within our lifetimes. 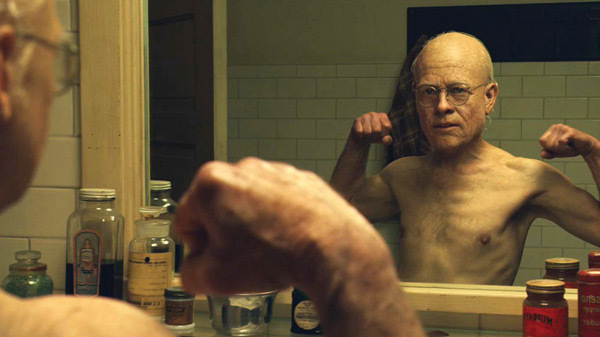 De Grey got the term “negligible senescence” from Caleb Finch, a longtime research professor at USC’s Davis School of Gerontology. He used it to describe certain long-lived animals, such as lobsters, that don’t seem to degenerate with age. Until they meet a calamity, such as becoming someone’s dinner, they could theoretically survive forever. While humans can’t match that crustacean’s cellular staying power, we come surprisingly close if we live long enough, says UC Irvine evolutionary biologist Michael Rose: “Our research shows that aging essentially stops at age 90.” For people on a healthy diet, he says, it doesn’t mean that you don’t get older, but the aging process stops accelerating—so you’re no more likely to die at age 98 than at age 93. That’s because “natural selection affects your health less and less when you have no further hope of reproduction,” Rose says. He calls this period in life “the Hugh Hef-ner parameter.” Like de Grey, he’s bullish on medical technology and predicts that advances in stem cell research will allow us to replace worn-out body parts, enabling 50 percent of his students who are in their twenties today to live past 100.